Because I have mad skills, I soon found a photo of him…and his new wife. Stunned, I looked at the shot.There, in the crook of his arm–the place that used to be mine–was a new girl. He looks the same. She is lovely. They were grinning, joy on their faces. This shouldn’t have been as surprising as it was. Our ways have been parted for a quite awhile and I had reason to think he had married. Nevertheless, it stung a bitter sting. He is in love and I’m watching old seasons of television shows. It sent me backwards, into a few days of re-grieving the loss of his place in my life. Dating is a funny process, but “not funny ha-ha” as a friend of mine would say. I have yet to experience anything “casual” about it, much to the chagrin of my sister and her loving advice. Rather, it is an emotional sequence of longing and wondering, evaluating and being evaluated, hoping and fearing. If you happen to experience any type of mutual intrigue (cue heavenly choirs), then a whole new adventure begins. Starting to think in terms of “we” and then, navigating the questions associated with being a “we” is an awkward dance where toes are in frequent danger of being stepped on. Getting to the part where you actually rest into each others company takes a while–and admittedly, it is precious when it happens. And, giving the other your heart–that’s the good stuff. Sheer risk and sheer joy. Having returned to the world of online dating (pardon me while I gag! ), I am actively prying my heart open. I mentally repeat the encouragement whenever I log-in, “Be open; be open; be open; be open.” I should change my password to “openness” or “unguarded” or “savemefromthistorture.” Typically, after three days of active use, I must take a break and allow the disquiet that it produces in this good-hearted, average-looking, 30something girl to settle. But, it’s how dating is done these days and so, I keep trying. Unlike some of the profiles that I look at, I’m not creepy…just occasionally a creeper. On Sunday, the priest celebrating Mass looked eerily like my ex. It was a cosmic message of “off limits,” a visual verification of what I already knew. Okay God, I get it. Two messages in one week. Moving forward. Logging back on. In the sacred space of my little heart, in the quiet of that church, I crawled into the crook of His arm, a little child needing to be soothed and reminded to hope. And, for a moment, I was aware of being loved. This is my third year teaching at an inner city middle school. My common refrain when asked what it’s like to teach is it’s exhausting but never boring. I often tell others the most overwhelming challenge I have faced in life is the emotions of a middle school girl. I previously had no categories for the appropriate responses to their occasionally incongruous behaviors. This has led me to be uncomfortable, anxious, and downright turned about at times in my role as a teacher, authority figure, and role model. When I started teaching I had no notion or intention beyond the present need to have a job and hopefully do something which gave me some purpose. The long term desire was always to do something grander- namely go back to school and do something more than just teach 8th grade math and science. This was the desire of my heart. I have enjoyed teaching and the relationships I have formed, but what has always made me uncomfortable about my job is disciplining students. I often enter into it with fear and anxiety. My thoughts run like this: “You are disrupting my class and wrecking any peace we (I) might have enjoyed here. I need to stop this.” What follows, almost invariably, is a classic mistake of teachers. We do not realize how well students can read our emotions. In these cases the student either reciprocates my fear or anxiety with his own or simply shuts down and detaches. Even if the behavior is corrected through coercion, there is no ground gained in character or relationship, and we percolate along in our functions without growing. There is intrinsically within the personal desire to regain control a tyranny of the moment which gets in the way of transcendent change. In the previous two years I had taught 6th through 8th grade math, but this year I only teach 8th grade math and science. This has created the chance for me to teach the same 20 kids all day, students who I have taught for going on three years. By now they know my middle name, my pet peeves, and just about every emotional expression I have. They are hyper aware of even the slightest change in my temperament. Also, the way I relate to them personally has changed almost without me realizing it. There is more than simply a nice hope that they might improve or grow. The welfare of my students has grown over my own personal desires. I only realize this and act on it in broken flashes like the shimmer of light off the jagged cut of shattered stained glass. Two weeks ago one of my students had an emotional reaction to something she was asked to do and stormed angrily out of my class. This was a reaction characteristic of her strong-willed, vitally independent personhood which has shown up in sporadic, irrational outbreaks of defiance that are shattering to my classroom’s peace and also harmful to herself in the form of ensuing consequences. These incidents have occurred over a three year period with me, and as a result of disciplining of her, I have grown a strong bond with her. This time, in the moment of her explosion, I did not feel the usual anxiety and fear which generally accompanies her outbreaks, instead I felt only heaviness. I felt sorrow. When I spoke to her later my words felt thick, my eyes began to water, and the thought dominating my heart was a worry for her: she was self-destructing in these meltdowns and the continuance of them would not only hurt her relations with others but also her chances of pushing beyond the boundaries of poverty around her. The initial and usual response of defiance in her eyes faded into a reciprocated sadness. In front of me was a lost child. She was aware of the deeper emotion in my eyes of sorrow over her brokenness. I have known this in the eyes of others looking at me when I was so far gone I thought I could not be rescued, and here I was with my eyes full of the same emotions with a girl so different than me yet so much like me. The reflection in her eyes stirred something beyond my present volatile and inconstant desires. The timelessness of love momentarily overwhelmed my temporal desires. I spoke as honestly and deeply as I have ever spoken to a student. The truth is I don’t really love people. I am often affectionate, kind, and even generous towards others but rarely without an ulterior motive. I have not cared for anyone in my life with the charity of God which the puritans described as “benevolent indifference.” But in this moment, I felt the stillness of indifferent love. Near the end of the school day, after I had meted out the discipline for her actions, she stopped me as I walked by her in study hall. I sat down next to her. She immediately apologized to me with sincerity for her actions. I choked up, hardly able to say anything in response. As I walked back to my room tired and at peace, I was reminded that in our broken friction, in the destructive collision of our obese, selfish desires, we are vulnerable to the entrance of timeless, co-inhering love. Into our time-filled world, in these messy moments enters the God who is pursuing us. We like the shards of shattered stained glass are brought back together, one crude edge fitting the next, to form the reflection of our Pursuer. He, who in his love let us shatter ourselves and sustained us in our wrecked state, weaves us back together one to another into the unity of a living body, organic in its diverse, messy flesh, and glorified in the binding coinherence of love that threads us to a living-in-love triune God. My role in this world, however shoddily I accomplish it, is to reflect this all encompassing, pursuing love. I uncover this only in gasps and stabs. From the beginning, there were no illusions of my culinary domesticity. We met, he cooked, and I fell in love. At the time, I was working in campus ministry, which meant: one, I was not wealthy, but two, I had a generous expense account. With it, I took students out for dinner and ate lovely balanced meals. I always ordered meat, because restaurant meat was the only animal protein I was getting at the time. I always ordered fresh vegetables, because vegetables are expensive when they don’t come in a can. At home, I ate things from cans. 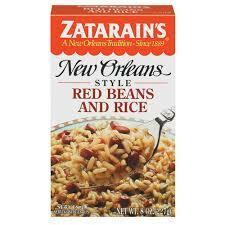 And Zatarain’s. Lots of Zatarain’s. There is no shame in eating red beans and rice from a box. And my to-be husband was happy to cook. He loves to cook, and most people love to eat what he cooks. I was content to do the shopping and dishes, and to set the table with candles and cloth napkins. Our system worked well until children came into the picture. For a variety of reasons, and against both of our good judgments, I became a mostly stay-at-home mom, though I tried to be not-at-home as much as possible. I spent a lot of time pushing strollers around museums, frequented the library, and mapped the location of every bathroom at the zoo. I leaned up against piles of laundry and read theology during naptime. I planned playdates with people I liked, and refused to give up coffeeshops. This was my survival strategy, and everything (apart from diapers, inexplicable crying and constant fatigue) was fine and dandy. Until about five-thirty. And almost every day, when my husband walked through the front door, I experienced two emotions simultaneously. One was relief, “Oh-thank-you-Jesus-it’s-another-grown-up,” and the other, a daily dose of magnified guilt about dinner. It felt like June Cleaver was slapping me across the face with her perfectly manicured hand. Dinner. He had just worked all day long, and I was at the museum, and now I expected him to make dinner. In my better moments, I am astounded that I give this scolding superwoman the time of day. It’s 2015 for goodness sake, and set gender roles have shifted, at least in part. My husband likes to cook, and he’s good at it. This is his role in our family, and he accepts it. So why do I experience this nagging pressure? What’s next? Am I going to start questioning my right to vote? But all of this is more complicated than a caricature. I have these female friends, and they are not caricatures. They are accomplished, dynamic women, and I have a lot of respect for them. A few years ago they started doing things like family meal planning, and as far as I can tell, family meal planning involves not only planning (which is bad enough) but also cooking(!) from scratch(!!). 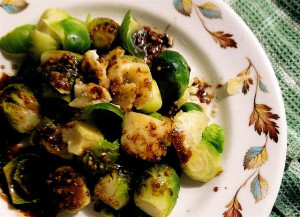 They bookmark food blogs, research chef knives, and collect healthy recipes on Pintrest. They make brownies with hidden spinach. They buy Brussels sprouts at the Farmer’s Market and prepare them in a way that their kids will eat. And they don’t do all of this as superwomen, or because they are trying to squeeze themselves into some predetermined role. They care about nutrition, and they care about their families. And so they are working on new habits, in fits and starts, according to their schedules and situations. 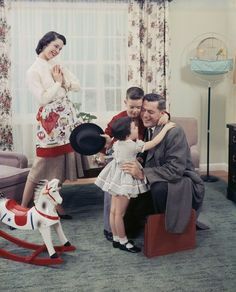 And because I know my friends, I can’t dismiss them as I would a caricature of a “fifties housewife,” just as I can’t hide behind my caricature of a “liberated woman” or even “hopeless cook.” My husband is our family’s 9-5 worker in this season of our lives, and we need to eat, and eat well. Maybe there is a part I can play. I’m not saying anything revolutionary here, just that I’d like to take meal preparation a bit more seriously. I’d like to explore a role that I have largely rejected-not because I have to, but because it would be beneficial for the people I love. I won’t do all the cooking (oh perish the thought), but I could do more, and I’m sure that it won’t be a complete disaster. Maybe I’ll begin with a big pot of homemade beans and rice. I don’t want my daughters to think that only men can cook. I crouched in the grass, twisting at an unnatural angle. I was trying to capture the texture of the line of bridesmaid dresses up close. I looked up for a moment, taking in the bridesmaids’ up-dos and powdered cheeks. 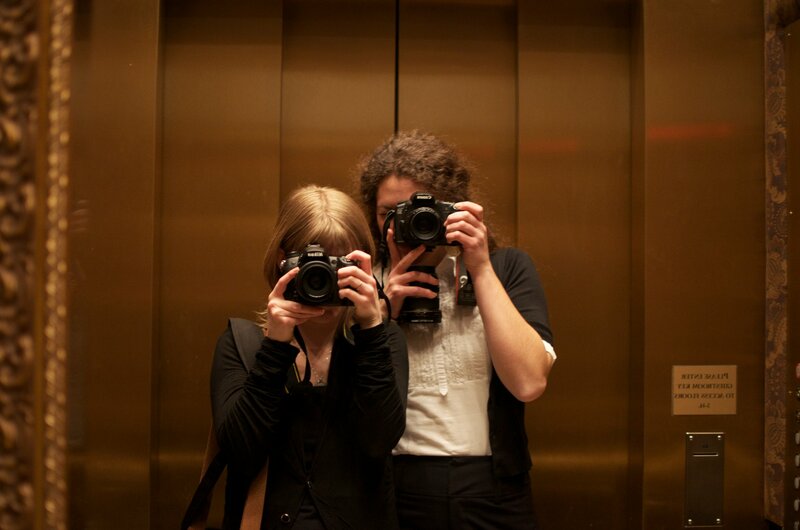 Their eyes were on the main photographer Vanessa, who I spent three summers shooting weddings alongside. She told prospective brides that we were a good team because she saw the big picture and I focused on the details. I’ve always loved weddings. In middle and high school, I was the pseudo little sister to several newly affianced women. I attended cake tastings, and helped pick out (and assemble) invitations. Later, when my friends started getting married, I made sure to insert myself into the conversations early, sometimes bearing bridal magazines. Although I’d never have admitted it, I wanted to be a bridesmaid. I wanted a central role at a wedding, one where I was chosen. My dress was periwinkle blue with cap sleeves, and I wore ivory shoes with little pearl beads on the velcro buckles. On the day of the wedding, we all went to get our hair done. It was the first time I had been in a salon. My feet swung high above the floor in the stylist’s chair. She began to curl my hair in ringlets, as if I were getting ready for a dance recital. I wondered if the burning sensation at the top of my head was normal. The stylist was chatting with my grandmother-ish-to-be as she worked her way across my head. “Oh no,” she said, quickly uncurling her iron. I began to feel relief, along with a dull throbbing, but I couldn’t quite relax into that chair again. The centerpiece of that wedding was a sort-of-cousin who delighted the congregation by performing an interpretive dance during the ceremony. Many years have passed between that little girl in the periwinkle dress and the person I am today. Still, it’s the only bridesmaid dress I’ve ever worn. It’s still the closest I’ve been to a wedding. As I got older, I found that weddings turned from a day of gaiety and celebration, to one of pressure and stress. I began to accept invitations based on the presence of an open bar. I learned to dread the secret looks between the members of the wedding party, and between the bride and groom. It was as if I was always just on the outside of a secret intimacy, regardless of my closeness to the bride or groom in other circumstances. So I put a camera between myself and the action. With my credentials as a second photographer, I could roam the wedding at will. I was there during the tearful champagne toast just before the bride climbed into her dress. I was there the first time a proud father saw his grown up daughter as a bride. I caught the maid of honor as she squeezed the bride’s hand, and watched the groomsmen take shots of tequila before the ceremony. No one batted an eye as I sidled up to the cake, taking in its layers and leaning in for a close-up. No one challenged me as I climbed to a high balcony to better capture the first kiss. It could have been my wedding uniform: I always wore black, on duty. But I prefer to think that I had achieved my goal at last. I no longer stuck out. I belonged. “Never a Bridesmaid” was written by Cara Strickland. Cara has lived in San Diego, California, London, England, and Upland, Indiana. Once, in college, she wrote an essay saying that she was from Narnia. 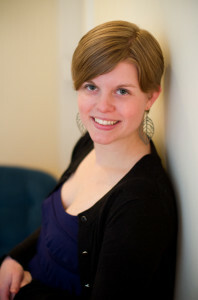 She currently lives in Spokane, WA, where she is a writer, blogger, editor, and food critic. She almost always finds a way to write about food. 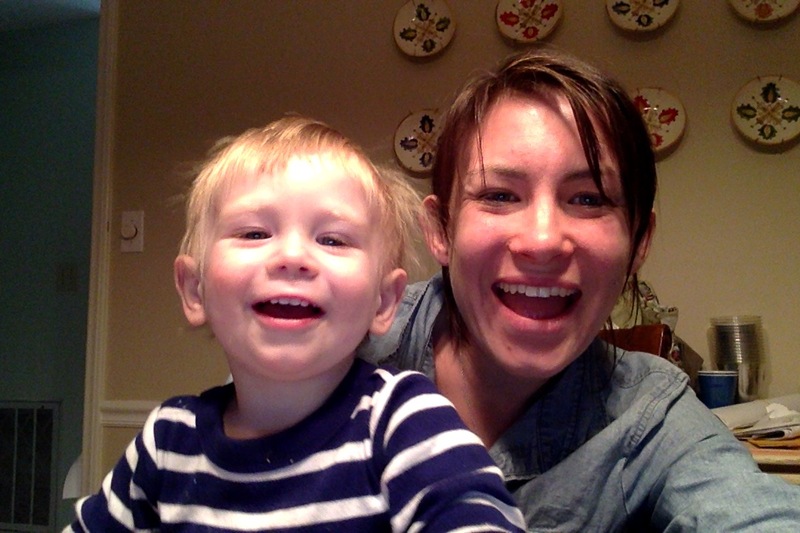 I’ll never forget my very first Mama Roar—how it erupted spontaneously from deep within me (my loins, perhaps?) before I even had a moment to process and filter what emerged. My firstborn, Q, who was just barely one, was on her maiden voyage at the mall play area. The fantastical space was breakfast-themed: populated with a huge fried egg (complete with a fun bouncy yolk), a banana to slide down, and a wavy piece of bacon to navigate. Q and I had sat and watched the kids there several times before, but that February day, after almost two months of practicing her walking skills, she was ready to join the fun. I watched from a bench along the perimeter as Q bravely toddled into the fray of darting and screeching preschoolers. The term “helicopter parent” hadn’t yet been coined, but I had already determined I wouldn’t be one. If Q needed my reassurance or help, I would be close by. 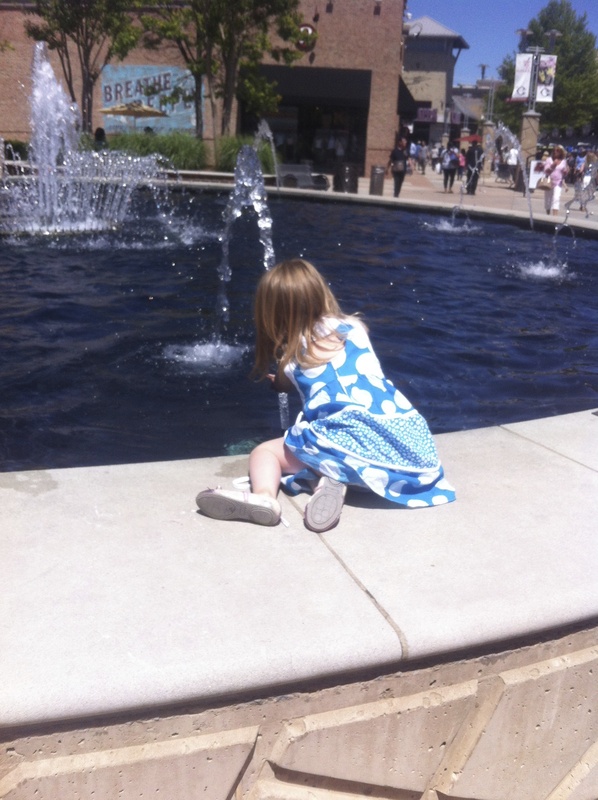 As I watched her bravely move farther away from me, her diaper-bum adorably donned in navy-and-lime-striped leggings, I mentally congratulated myself, randomly taking credit (as new parents do) for the fearlessness of my little girl. Suddenly, BAM! A burly (at least relative to Q) preschooler ran by, deliberately shoving Q flat on her face. I jumped up, my heart pounding, then saw that Q was stunned, but not crying. She stood up, looking around her to gain her bearings, then started again to toddle toward her original destination: an enormous waffle topped with a pillow-sized pat of butter. I took a deep breath, commending myself for my restraint, before noticing that same boy was making another round through the oversized breakfast fare. BAM! Down Q went again. And Mama Bear leapt into action. In a bound I was at Q’s side, picking her up in a protective hug. Then, as the boy sped back in our direction I reached out and grabbed his arm, stopping him in mid-flight. “Only if you let them,” I seethed, turning away to buckle a stunned Q into her stroller and roll her back to the safety of our den. 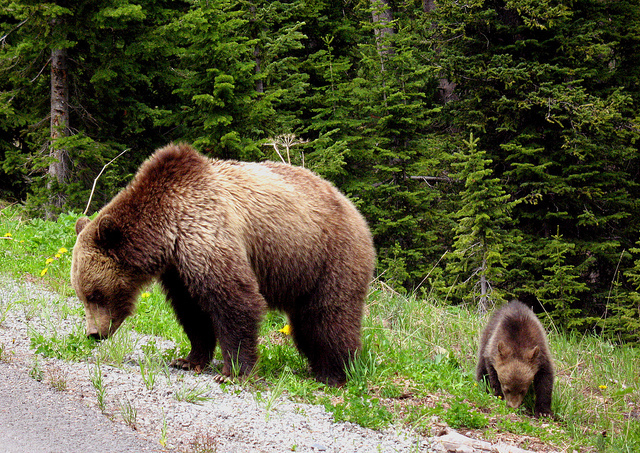 But even acting on a full range of indignation over the years did not prepare me for becoming a Mama Bear. Those pre-parent experiences had been merely exercises in logic and persuasion—hypothetical practice for the debate team I was never on. This—this was different. It was not a cunning game. It was the waking of a beast that had been hibernating within me, feeding on the hormones released by pregnancy, childbirth, and breastfeeding. By the time Q and I visited the play area at the mall that winter day, the beast was well-rested and fattened, ready to bare her teeth. As my two daughters have grown, I’ve become accustomed to my Mama Bear sidekick; sadly, we’ve had plenty of experiences that have called for her services. But knowing how and when to tame her has been an ever-changing challenge that shifts with each setting and stage my daughters go through. When do they really need me to intervene—to demonstrate the importance and art of standing up for beliefs and rights, and especially for others? And when do they need to learn about disappointment and the “life-isn’t-fair” state of the world? When should they be left to decide for themselves if an injustice is real or perceived? When do I need to advocate—ideally with much grace—and when should I demonstrate how to retreat with grace? Because Mama Bear isn’t necessarily rational. She doesn’t always see the big picture. What Mama Bear does see, with laser vision, is the child. She sees the child for who she is—both the strengths and weaknesses, the abundance of potential that’s inevitably tinged with fear of how the world might respond. And the Mama Bear loves the child so much that she can’t help but ache for that child’s best. It’s a love that emerges from her very being, coursing through every vein and seeping from every pore. Moving South is unbecoming on me. Or it is my becoming. I’m not sure. For the first time in my life, I care about what I wear to the mall. I make sure to wear matching socks. I make sure I wear make-up. I make sure I have something not too wrinkled on. Sometimes. Most of the time. Or I hate that the people at the mall from whom I am trying to buy goods treat me like I am from the wrong side of the tracks who has no business being in their shiny, ridiculously expensive store filled with things from origins unknown and created by unknown people. What factory did that sweater originate from? Asia? Central America? Do you think it came overseas on a ship and airplane, on a semi? Hello, salesperson, don’t ignore me! Oh, there she goes. She is ignoring me, again. I live in Durham, North Carolina. It’s quirky, retro, and trying to relive the 90’s in hipster style. Think: the more tattoos and mohawks and vintage clothing the better. Local artisans, food trucks, and community gardens are where Durham pours its resources. It’s hip, it’s entrepreneurial, it’s grungy. And I fit in. In fact, I’ve mastered the hipster grunge look. I am a mom of two young kids, so I’ve haven’t slept in five years. You might think the “she looks like she just got out of bed” was on purpose, but no. I probably forgot to brush my hair because I had to chase my daughter around the house in order to brush hers. Except when I go to the super suburban, high end shopping mall twenty minutes south of the gritty, brick, tobacco warehouses called Downtown Durham, then I try to brush my hair, brush my teeth, and wear my Sunday best. Are you talking to me? What are you talking to me about? What impression am I giving you as I try to keep my four year old from trying on every single lip-gloss? Do I look like a strange hobo? Is there a reason you are pointing out your graciousness? Do I look that bad? I did not try on purpose. Honest. Umm, here, please take my hard earned money, and give me some tinted moisturizer for sensitive skin. Hush. Please don’t talk anymore. You are giving me a complex, over-dressed salesperson. The mall makes me vain. It makes me feel inferior. Perhaps that is the marketing strategy: Make people feel so unfabulous that they have to buy fabulous, unnecessary objects to make them feel better. Except, I just I feel unworthy. The mall has become a place where I feel my unworthiness. And it’s unbecoming on me. I turn into a grouch, my neuroses and angst come out, then in defense I become a snob. They judge, so I judge. It’s a terrible game. So I am here, on the border of the conservative south, where the mall is located, and a liberal academic town, where my favorite coffee shops, farmer’s markets, and community spaces are. In one, I am secure and know myself. In the other, I am puzzled by my insecurities and apparent weakness for vanity. And then there is God. And later, on the car ride home with my bags of materialistic items from China, Mexico and Haiti, I realize that it’s okay to feel uncomfortable at the mall. I should feel different. I should feel like an outsider and befuddled and an imposter. Because that is what I am. I was not made for that world—I don’t want it to “become me.” And I don’t want Durham to “become me,” either. I want something else to become me. I want grace to become me. I want God’s grace to become me. I want to wear that no matter where I am, whether I am enjoying a beer with tatted friends or buying a pair shoes with people decked out in Burberry. God is the God of Comfort and Discomfort, and the power of His grace is found in the tension between them. “What to Wear to the Mall” was written by Sarah Hudspeth. Sarah is a mom of two kids full of life and mischief, a wife of a grad student, and a middle school math teacher to students with learning needs. Coffee is her favorite, as are books, Twitter, and any day spent outside. Sarah lives in Durham, North Carolina, and eats extremely well due to food trucks, her garden, and the eat-everything-local movement.